New casinos experiencing high numbers of visitors can improve efficiency with a money and ticket counter. New York got two new fully functional casinos this year: The del Lago Resort Casino and Rivers Casino & Resort, both of which opened their doors in February. So far, they've seen impressive success. Both have been raking in around $3 million per week, according to Upstate New York. They had their best weeks shortly after opening. Del Lago's record week brought them $3.7 million during the week ending Feb. 26. While neither have quite reached the $3 million mark since March, they are continuing to see strong interest. Both casinos intend to expand their offerings this summer, which should help drive business even more. Each are still working to ready their onsite hotels for opening in the coming months. Rivers and del Lago both have a goal of being fully operational in 2019, and both anticipate greater returns during that year. Rivers said they expect to bring in $4.3 million per week in 2019, while del Lago announced an anticipated $5.4 million per week that year. As business for these new casinos continues to improve with their greater service offerings, it makes sense for them to update their operations to increase efficiency. A money and ticket counter can aid in this goal. 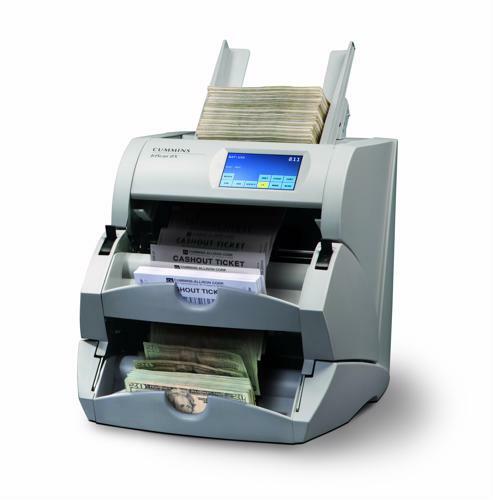 A device like the JetScan iFX i200 can process tickets, cash and checks, and is 85 percent faster than typical casino ticket counting machines. Rivers' and del Lago's leadership teams say they anticipate good revenues in the coming years, despite growing competition in nearby Springfield, Massachusetts. The MGM Springfield is scheduled to open in September 2018, according to MassLive.com. However, MGM Springfield President Mike Mathis is confident the New York casinos won't have a major impact on his own casino's revenues. "Between our loyal customers and our unique offering in really what is a unique downtown, urban setting, walkable with a lot of great amenities, that we're going to create a compelling destination," Mathis said, according to MassLive.com. However, to remain competitive, it's important that casinos ensure customer satisfaction is key. Having quick dispersal and processing of tickets and cash, such as with a money and ticket counter, is one way to boost efficiency within the casino.